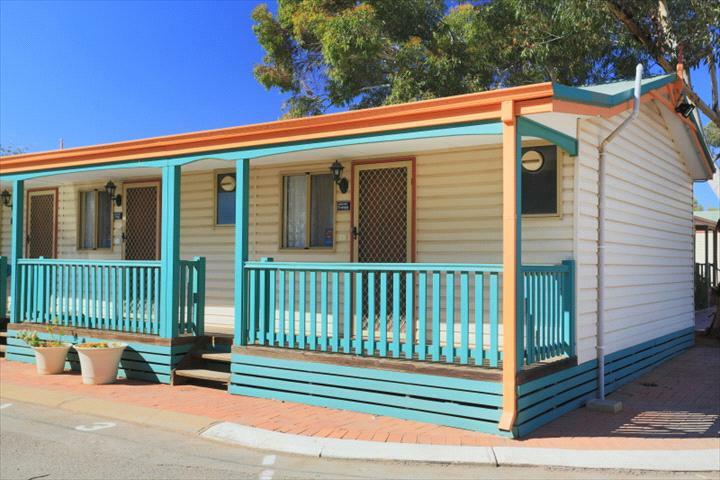 Kalgoorlie is outback Australia at its best and you’ll love the diverse and comfortable accommodation you’ll find at Discovery Parks Kalgoorlie. 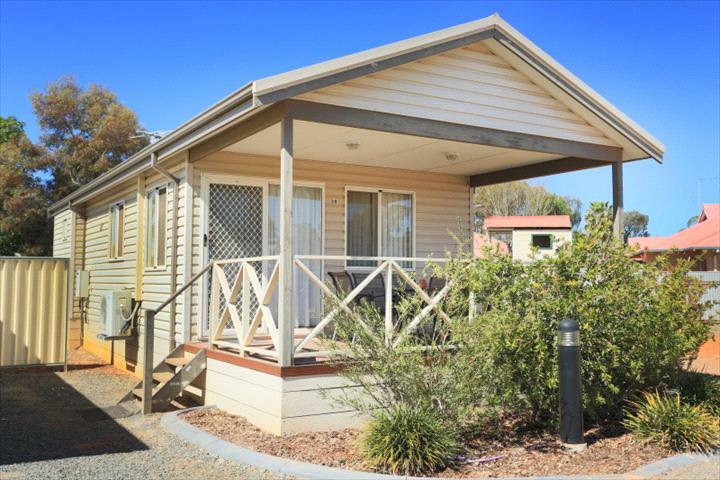 Enjoy a quiet relaxing time at Discovery Holiday Parks Kalgoorlie. We provide large, easy to access tourist sites and accommodation second to none. 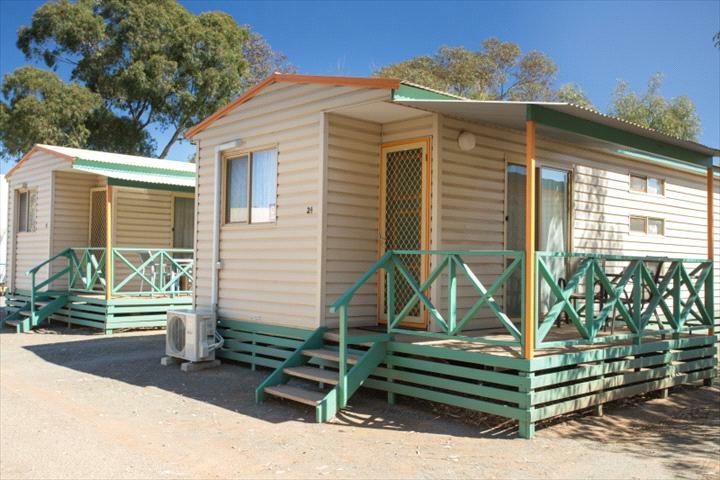 Discovery Holiday Parks Kalgoorlie is a 4 Star rated park with a reputation for being a friendly, clean and tidy park. Pet friendly sites are also available. Youll never forget this quaint A-framed chalet. 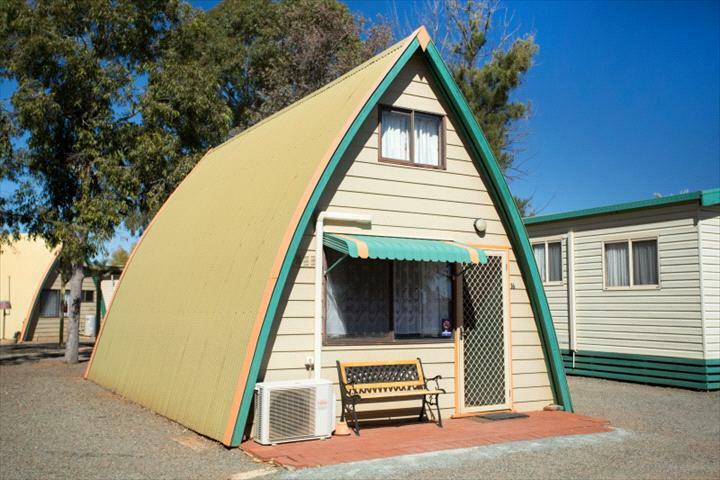 It sleeps up to 5 people. The open plan chalet has a loft with ladder access, which the kids will adore. Everything youll need in the kitchen is provided (and theres air-conditioning (heating/cooling) and all linen provided). Cute timber clad cabins that sleeps 4 people, a great home away from home. 1 double bed and 1 set of double bunks. Fully self-contained, affordable family cabins. Comfortable and cosy, open plan units for a couple to cuddle up in. Relax, with air-conditioning (heating/cooling) and all linen supplied, you can just enjoy each other�s company. A little extra luxury for your family to enjoy. These fully self-contained cabins with an 80cm flat screen TV sleeps up to 6 people, with the comfort of reverse cycle heating/cooling. Dine alfresco on the wonderful verandah. Bookings cancelled 14 days or more prior to the arrival date will be refunded less one nights accommodation. Where bookings are cancelled less than 14 days prior to arrival an amount equalling 25% of the total accommodation quoted above will be retained (or one nights accommodation whichever is greater). Bookings can be moved however prices may change depending on the new booking period and amendment fees may apply. Customers may hold credit on their client account for up to 12 months.